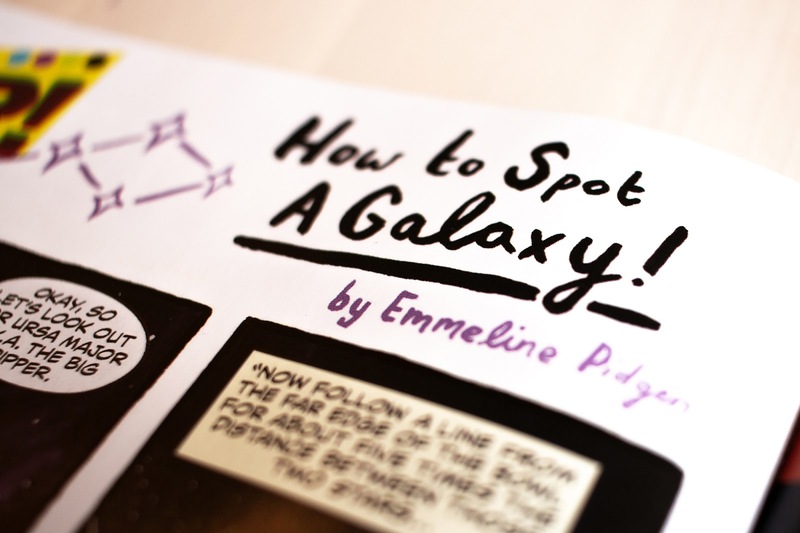 I'm so pleased to be able to show you my first, official, internationally published comic 'How To Spot A Galaxy' in Black Crown Quarterly #3 from Black Crown & IDW Publishing. 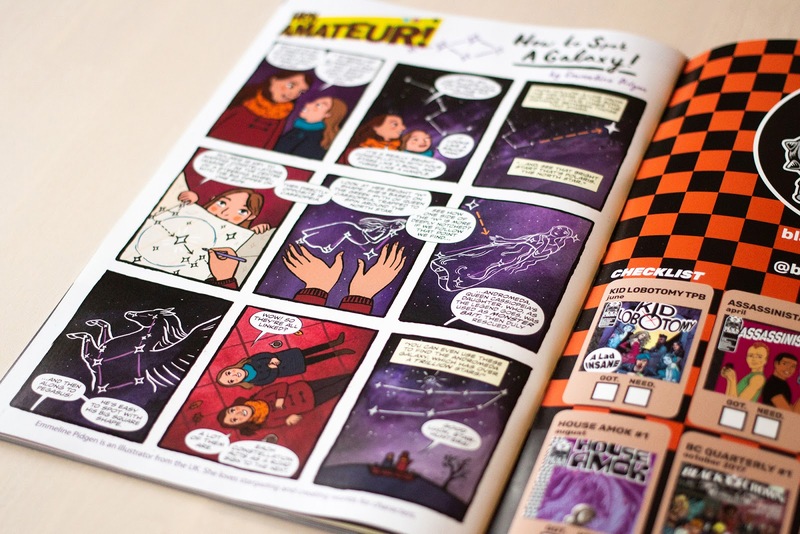 The comic is part of Black Crown's 'Hey Amateur!' series, a "how to do anything in nine panels" feature at the back of every issue of Black Crown Quarterly. There's been some amazing ones so far (I particularly liked learning how to do an ollie in issue 1! ), and I chose to dig deep into my love of stargazing to teach people how to find constellations in the night sky! 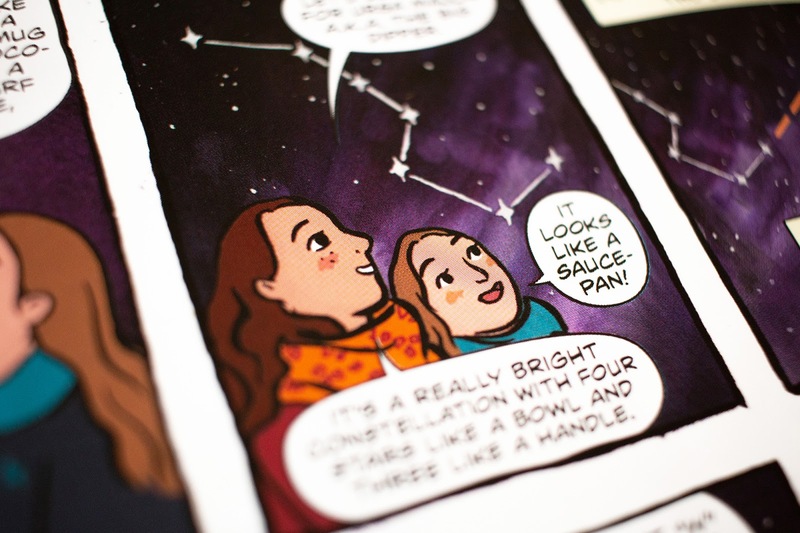 The comic features two young gals out stargazing, and the older sister shows the younger girl how to find The North Star (Polaris! ), the constellations of The Plough, Cassiopeia, Andromeda and Pegasus - and then how to find the Andromeda Galaxy! I love space. Growing up one of my favourite books was a big non-fiction book on the universe, I've spent lots of nights out stargazing with my dad (the skies are ridiculously clear where my parents live), and I spent hours on a incredibly nerdy educational pc game finding constellations and galaxies (I really need to remember what that game's called! I think it was free with Encarta or something...). I wanted to teach people something I was really excited about (and would work well visually in a comic) and so here we are! 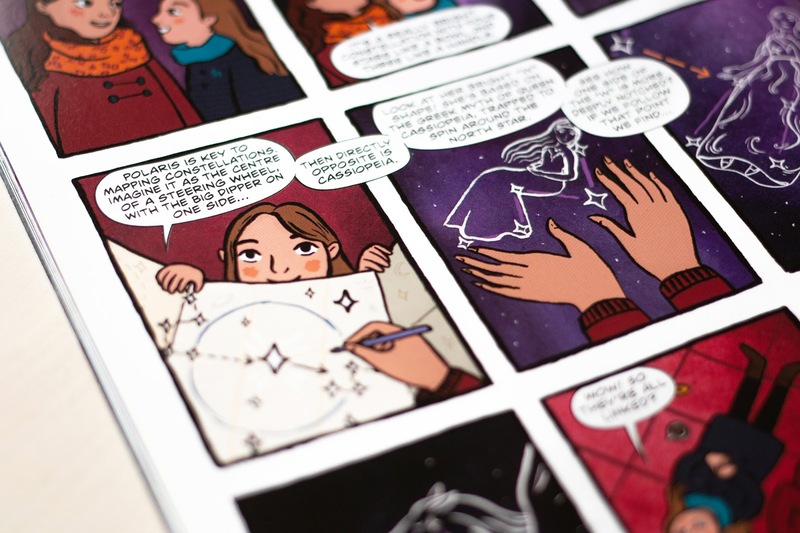 I love the process of using one constellation to help you find the next, so the comic lays out pointers to take each step, until on a clear night you're looking at a galaxy with over a TRILLION stars! 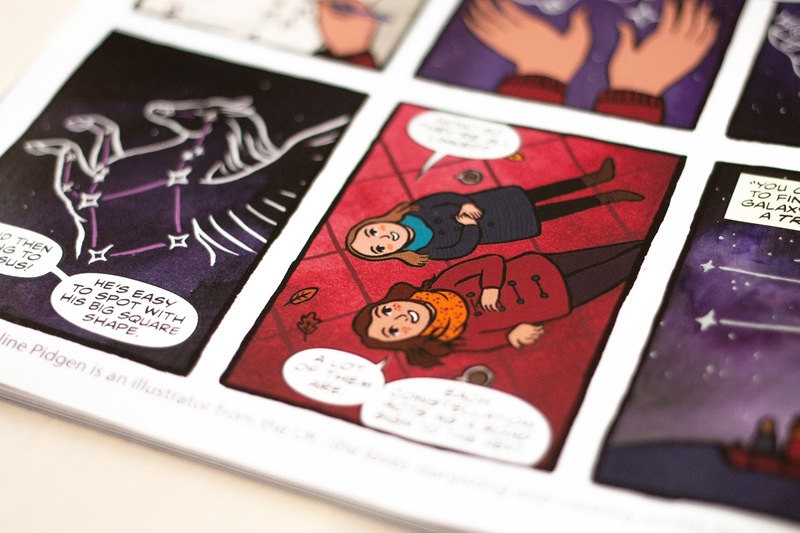 The illustrations are all a combination of hand-painted ink linework and digital colouring (aside from the space backgrounds, which are watercolour!). Let me know if you'd like to see a more detailed process rundown, and I'll show you the original linework pieces in a future post. So, not only is this my first internationally published comic, it's also the first time I've had a story I've written published! I've spent many years illustrating amazing writing by other authors and journalists (and I love it! ), but it feels amazing to be out here writing and illustrating my own stories. The entire comic is just brilliant. Punchy, exciting, gorgeously drawn stories - and I'm so pleased to be a part of it. Huge thanks to Shelly Bond for bringing me on board! Here's to more comics coming up. You can buy this comic on IDW Publishing's website, or in your local comic store!